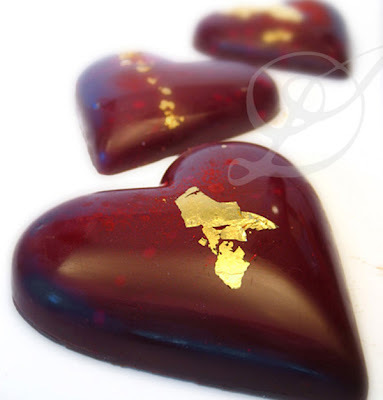 Diana Phillips is the possibly the best chocolatier I have ever had the privilege of knowing! I came to know Diana by working with her on some amazing events we have done together. 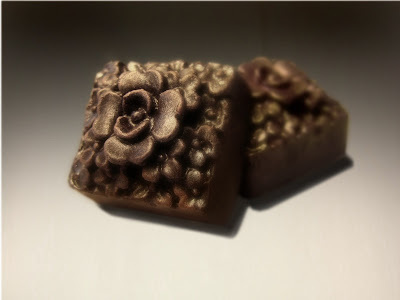 Her chocolates are the most divine little morsels and with each one, you taste an entirely new chocolate experience. Literally....her French Lavender chocolate is my absolute favorite and you truly feel that you are on a lavender farm, eating lavender (but in an amazing chocolatey way)!!! I asked her to share some of her insights on her chocolates with us! 1. Tell me about Diana Phillips Chocolates? I guess I take the word "artisan" literally. 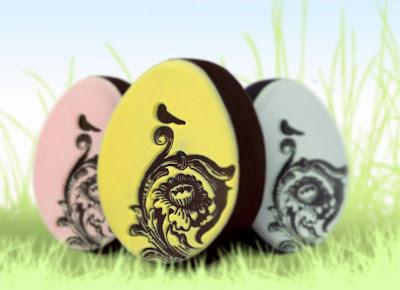 Most of my chocolates are hand-painted and if not, each one is decorated with some accessory, one by one. I love customizing an order so each experience is completely unique. In a former life, I was a creative director for some of the big ad agencies, so I'm all about each part of a presentation. 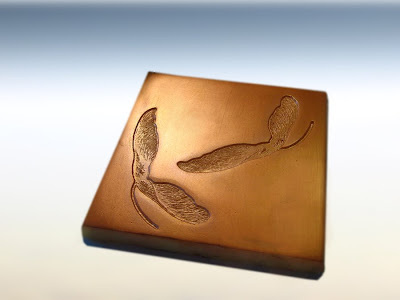 Taste, color, shape, graphics so much so I've begun creating my own line of chocolate molds. I alter my own packaging seasonally just to keep the wheels turning. 2. How did you get started in the chocolate business? In my former life, I worked for a few years in Italy. Easter was about 2 weeks away and I was walking around Milan, getting to know the city a little. A shop window about 10 feet long had created the sinking of the Titanic out of chocolate. The passengers were chickens and ducks. I was knocked out. That was the beginning of it, I think. 3. How do you come up with the amazing flavors? Share with us some of your favorites? I'm really led by the seasons, like all foodies. Right now I'm in love with a lemon tree I have known as a "Lemonade" lemon or "Eureka". The fruit have these crazy stripes running down the sizes and when they're sliced open, the flesh is pink! The flavor is insane. Lavender is also in bloom. I can check out what the bees are into and then go from there. Wow. Nature of course, but also color. I follow the yearly Color predictions that are juried by a committee of fashion designers, interior designers, architects, product designers, etc. The palette changes each year, and is seasonal. Smell is also a great muse. I'm big on how things smell before I taste. 5. How do you guide clients who want to use your chocolates as favors? My process is a collaboration. I try and get to know the client and what is special to them or their occasion. I have a wedding coming up with a Harvard couple. The bride is Persian and the groom is Hispanic. Persian food is incredibly exotic and floral. Hispanic foods are also exotic and are probably taken for granted since they're more common in the states. So I'm working on a tasting menu that balances delicate flavors with more powerful, spicy ones. Another example involves a private collection I did for a boutique hotel in Mexico. The grounds are thick with lavender and rosemary. We walked the property and identified plants indigenous to the resort. The collected represented the gardens of that particular place. 6. Tell us what is unique about your chocolates? I've always been into graphics and visual communication. Packaging is so much because it is 3-dimensional. 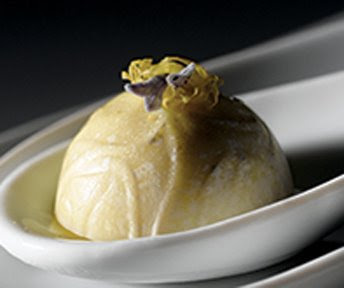 All the collections begin with a concept that will link the flavors. Once that happens, colors present themselves and I start playing. The packaging was designed to be able to accommodate dressing up or dressing down. 7. Tell us a bit more about yourself? Everything filters into a point of view that's truly yours. I grew up in the Midwest in a farming family. We grew almost everything we ate and I grew to appreciate things in season. Raspberries were there YEA! and then they were gone for an entire year. The times I was lucky enough to observe and participate in other cultures have influenced how I think about things. Mainly, I'm in this because it's fun! Thanks Diana for coming by our blog today and sharing with us your insights and your love for chocolate!